Let's get the obvious bit out of the way first: expecting ISPs to act as policemen is a terrible idea, but at least Digital Britain hasn't listened to the loonies and suggested kicking file-sharers off the net altogether. If we were to describe Lord Carter's report in one word, it'd be "sensible". There's nothing here that'll make you jump with joy, but there are plenty of sensible ideas in there. The overriding theme of Digital Britain is inclusion - so there's £200 million to help pay for the cost of delivering broadband to everyone, a small levy on phone lines to ensure that people outside cities aren't left drooling when everyone else gets super-fast broadband, and a commitment to ensure that when government services go online people who can't or won't access such services won't be left out. The report also recognises that supply and demand go together, so it proposes working with the BBC to roll out better DAB radio coverage and ensuring that all our major radio stations are DAB-only by 2015 - but it also proposes working with manufacturers to ensure cheap DAB radios are widely available by then, and with car firms to ensure that cars come fitted with DAB receivers by default. Similarly the report suggests encouraging house builders to think about broadband as just another utility, factoring it into their plans in the same way they'd factor in electricity, gas and water. It's good to see the government belatedly realise that we have a games industry too, and that the industry is worried about other countries' tax incentives leeching the UK of its best development talent. We'd have preferred a commitment to tax relief instead of committing to "review the evidence" for one, but at least it's a step in the right direction. What about file sharing? The report appears to have dumped the idea of a broadband tax to pay for a new and exciting rights agency, but it does compel ISPs to send nastygrams to file sharers and to hand over people's details if the entertainment industries ask them to. The small print is crucial here: if ISPs adopt those measures and everybody's still downloading like demons, Ofcom may then compel ISPs to block, throttle and generally bugger about with offenders' internet access. That's some way off, though, and it's good to see the "three strikes and you're off the net" idea given all the attention it deserves, ie: none. Overall, then, we don't think Digital Britain is going to have anybody dancing in the street - but Lord Carter has done a good job of balancing the demands of the copyright lobby with the rights of ordinary internet users, and he's come up with some smart ways to finance broadband and DAB without asking a near-bankrupt government for big piles of cash. 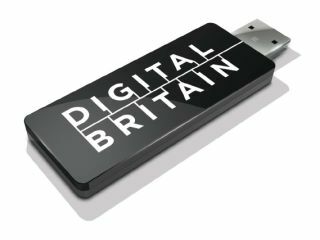 Digital Britain may not be as revolutionary as some people might have liked - but it's nowhere near as bad as many of us feared. If reports are true and Lord Carter's off to the private sector as soon as Digital Britain's PDF is posted, he's not going to be leaving with an angry mob in hot pursuit.